Happy Thursday sweet friends! 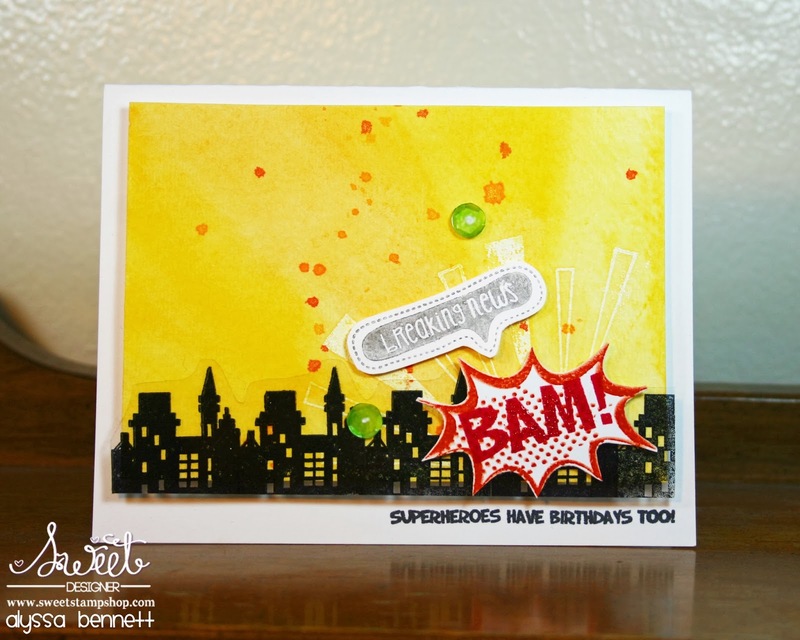 I'm on the Sweet Stamp Shop Blog today with another Triple Sweet Thursday - 3 Cards, 3 Ways, 1 Challenge! As always I'll be spotlighting ONE challenge and rocking it THREE ways to get you inspired! The 10 Minute Craft Dash is a color challenge with a TWIST: you must complete your card in under 10 minutes. A new challenge is posted every other Wednesday. Your entry must use the color palette and be completed in under 10 minutes. Though if you do go over 10 minutes you can still link up, you just won't be eligible for the prize. An important note: you CAN plan and pull out your supplies prior to starting the timer! Do you LOVE color challenges but find yourself bored or not so challenged by them from time to time? If so, The 10 Minute Craft Dash is for YOU! I love a good old color challenge, but I REALLY love the 10 minute twist! 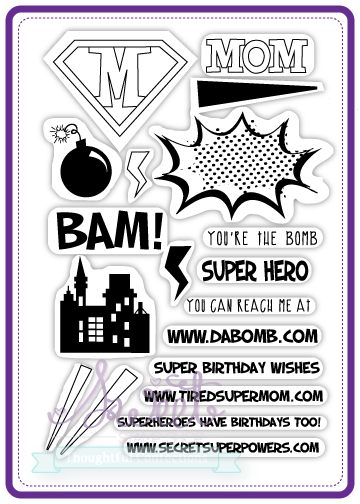 It's like the card makers work out. Sometimes I find myself spending HOURS on one card. That's ok every now and then, but isn't great when you have several cards on your to do list. 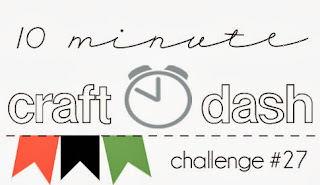 The 10 Minute Craft Dash really pushes you to get creative and just DO IT. Do it FAST. The current challenge called for the use of orange, black, and green. Perfect for Halloween right? 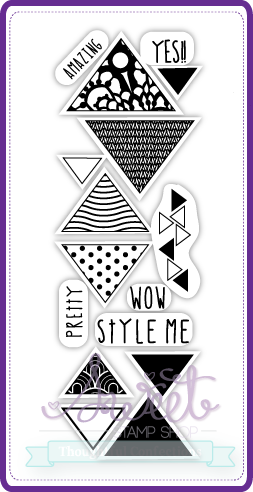 But Halloween isn't the only way to rock this color palette! For my first card I went the route I'm most comfortable with: CAS. 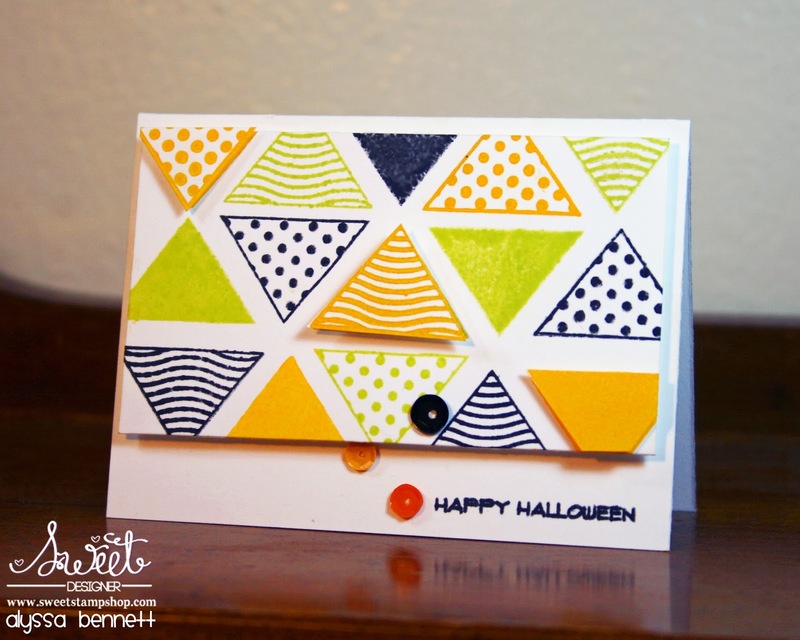 I pulled out my Sweet Stamp Shop Triangle Style and Zombies stamp sets, an orange, a green, and a black ink pad, and some white paper. I started the timer and went to work creating my Halloween inspired triangle pattern. After scrambling to find some sequins to finish off my card, my stylish and simple Halloween card was finished in 7 minutes and 2 seconds! Way 2 : a GUEST card by Danni! For card number two I brought in the help of my wonderful friend and Sweet Design Team coordinator Danni! It was super fun to do the dash with Danni and Nicole! 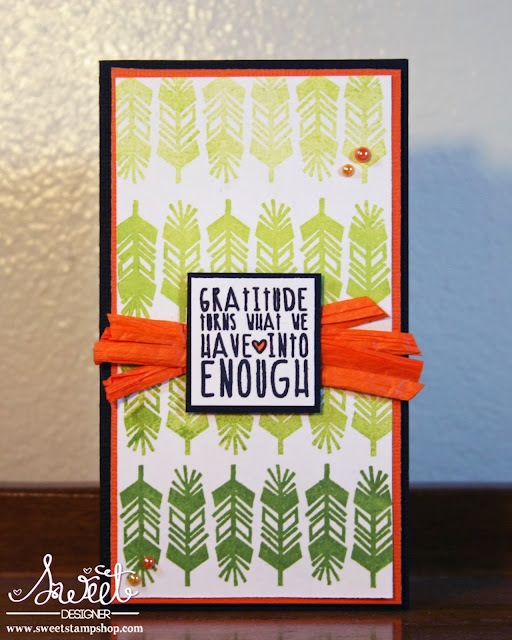 Danni busted out this beautiful ombre card featuring the Sweet Stamp Shop Fall Gratitude stamp set in just 7 minutes and 47 seconds! I especially love the little gem accents. Thanks so much for your help Danni!! 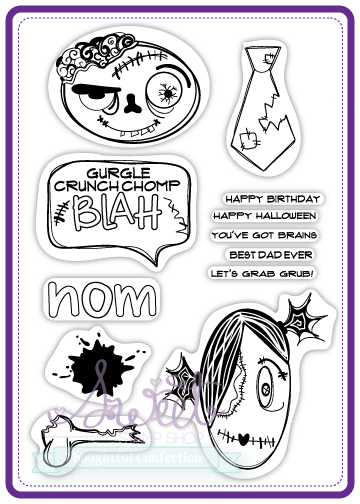 Before I go, DON'T FORGET the Sweet Stamp Shop October release is happening October 16th! You WON'T want to miss this one!! Love :) Great job on the cards!